Caller involved in search on night of Madeleine McCann's disappearance. 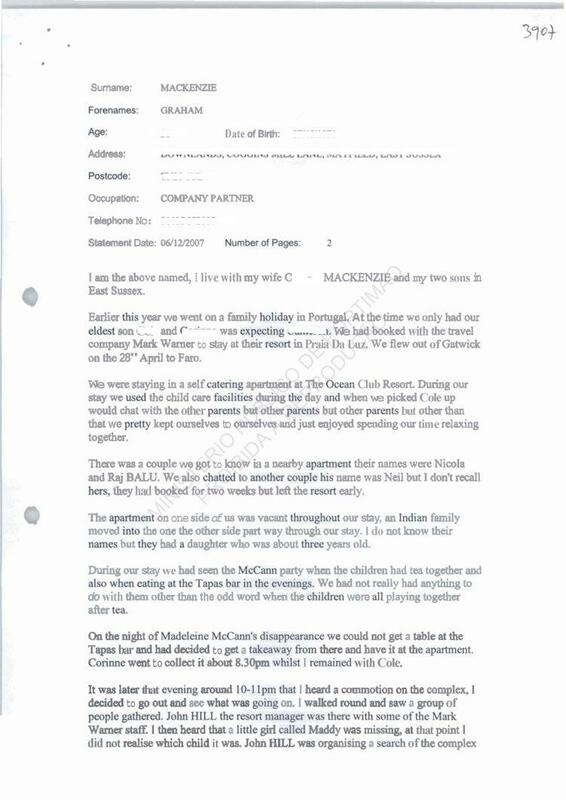 On e hour into the search by holiday makers of the hotel and surrounding areas, about 23.00 hrs, Mr McKenzie approached the McCann's apartment from the bushes at the rear of the apartment. He was searching the gardens. 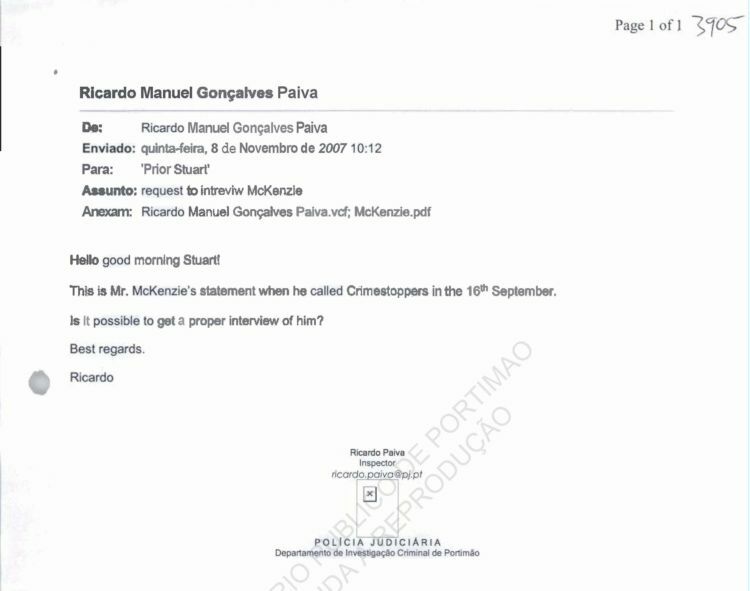 He did not know it was the McCann's apartment. 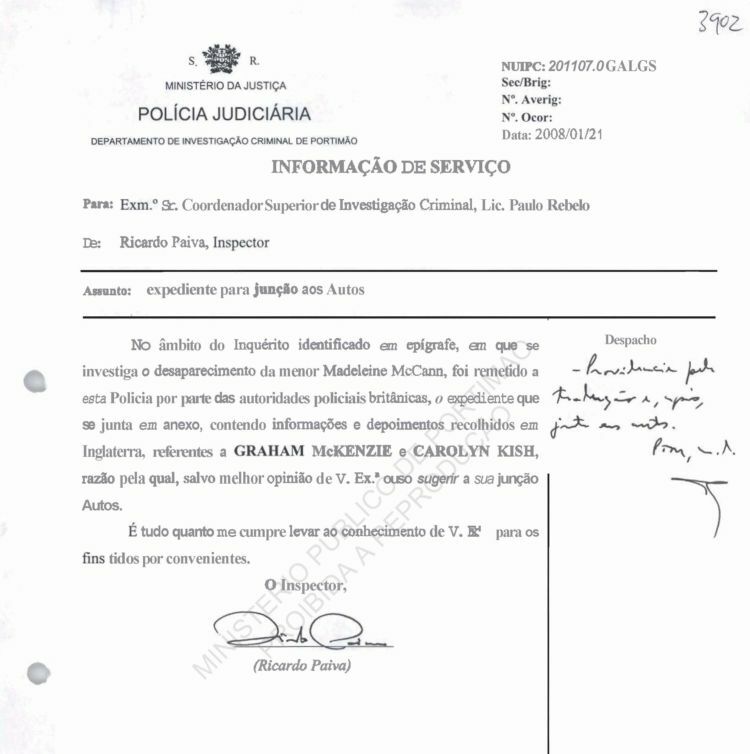 He saw Mr Gerry McCann standing alone in the doorway at the rear of the apartment talking on his mobile telephone. 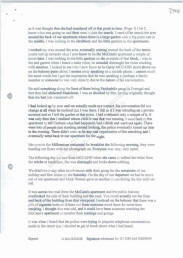 Mr McCann was looking our over the swimming pool and did not see Mr McKenzie. 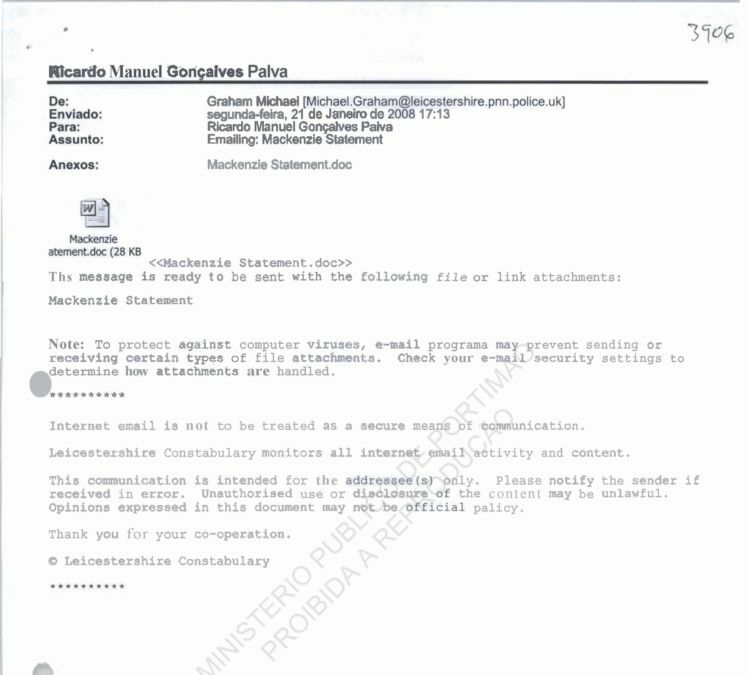 Mr McCann was absolutely distraught telling the person receiving the call that he feared 'she (Madeleine McCann) had been taken by paedophiles'. 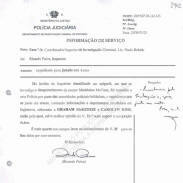 He does not know who the person receiving the calls was but presumes it to be a family member. 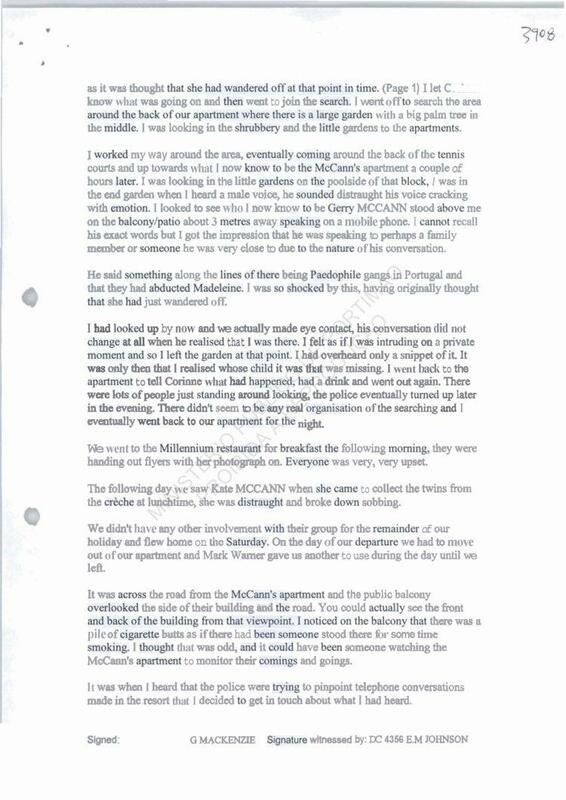 Mr McKenzie recognises Mr McCann from being in the same holiday complex at the same time. Mr McKenzie cannot remember what Mr McCann was wearing at the time. 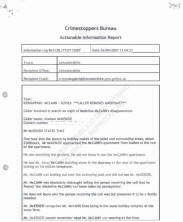 Mr McKenzie is willing to give a witness statement and be contacted by police on his home telephone number above. 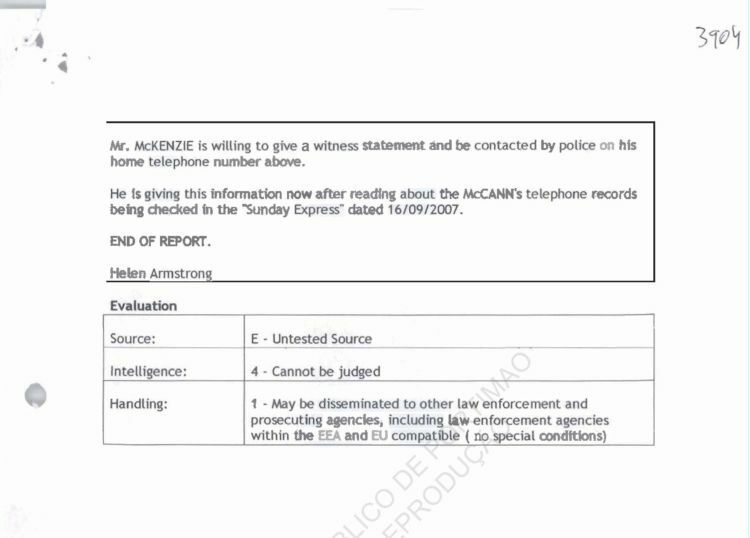 He is giving this information now after reading about the McCann's telephone records being checked, in the Sunday Express dated 16/09/2007. Earlier this year we went on a family holiday in Portugal. At the time we only had our eldest son ***** and (my wife) was expecting ****. We had booked with the travel company Mark Warner to stay at their resort in Praia da Luz. We flew out of Gatwick on the 28th April to Faro. We were staying at a self-catering apartment at The Ocean Club Resort. During our stay we used the child care facilities during the day and when we picked ****up we would chat with the other parents but other than that we pretty kept ourselves to ourselves and just enjoyed our time relaxing together. There was a couple we got to know in a nearby apartment, their names were **** and Raj Balu. We also chatted to another couple, his name was Neil but I don't recall hers, they had booked for two weeks but left the resort early. The apartment on one side of us was vacant, throughout our stay, an Indian family moved into the one the other side part way through our stay. I do not know their names but they had a daughter who was about three years old. During our stay we had seen the McCann party when the children had tea together and also when eating at the Tapas bar in the evenings. We had not really had anything to do with them other than the odd word when the children were all playing together after tea. On the night of Madeleine McCann's disappearance we could not get a table at the Tapas bar and decided to get a takeaway from there and have it at the apartment. (My wife) went to collect it at about 8.30 while I stayed with ****. It was later that evening around 10 ' 11 that I heard a commotion on the complex, I decided to go out and see what was going on. I walked round a saw a group of people gathered. 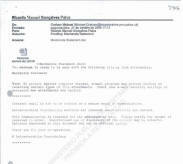 John Hill the resort manager was there with some of the Mark Warner staff. I heard that a little girl called Maddie was missing, at that point I did not realise which child it was. John Hill was organising a search of the complex as it was thought that she had wandered off at that point in time. I let (my wife) know what was going on and went to join the search. I went to search the area around the back of our apartment where there is a little garden with a big palm tree in the middle. I was looking in the shrubbery and the little gardens to the apartments. I worked my way around the area, eventually coming around the back of the tennis courts and up towards what I now know to be the McCanns apartment a couple of hours later. I was looking in the little gardens on the poolside of that block, I was in the end garden when I heard a male voice, he sounded distraught his voice cracking with emotion. I looked to see who I now know to be Gerry McCann stood above me on the balcony/patio about 3 metres away speaking on a mobile phone. I cannot recall his exact words but I got the impression that he was speaking to perhaps a family member or someone he was very close to due to the nature of his conversation. I had looked up by now and we actually made eye contact, his conversation did not change at all when he realised that I was there. I felt as if I were intruding on a private moment and so I left the garden at that point. I had overheard only a snippet of it. It was only then that I realised whose child it was that was missing. I went back to the apartment to tell my wife what had happened, had a drink and went out again. There were lots of people just standing round looking, the police eventually turned up later in the evening. There didn't seem to be any real organisation of the searching and I eventually went back to our apartment for the night. We went to the Millennium restaurant for breakfast the following morning, they were handing out flyers with her photograph on. Everyone was very, very upset. 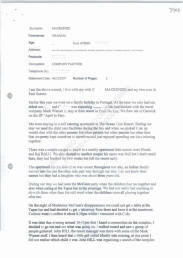 The following day we saw Kate McCann when she came to collect the twins from the creche at lunchtime, she was distraught and broke down sobbing. We didn't have any other involvement with their group for the remainder of our holiday and flew home on the Saturday. On the day of our departure we had to move out of our apartment and Mark Warner gave us another to use during the day until we left. It was across the road from the McCann's apartment and the public balcony overlooked the side of their building and the road. You could actually see the front and back of the building from that view point. I noticed on the balcony that there was a pile of cigarette butts as if there had been someone stood there for some time smoking. 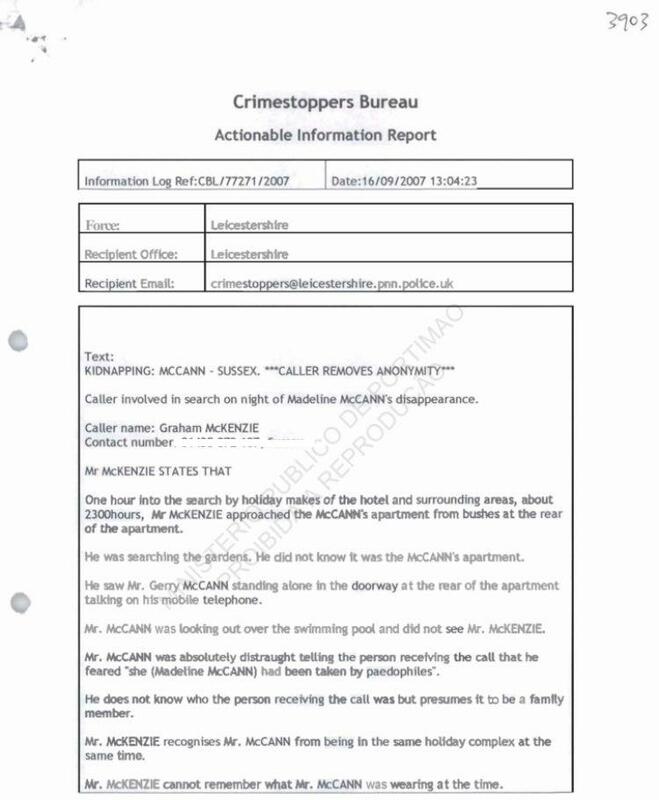 I thought that was odd , and it could have been someone watching the McCann's apartment to monitor their comings and goings.